Yu Suzuki just won a pretty enormous game of Lucky Hit, as the Kickstarter campaign for the role-playing game Shenmue III has raised $2 million in a little over nine hours. 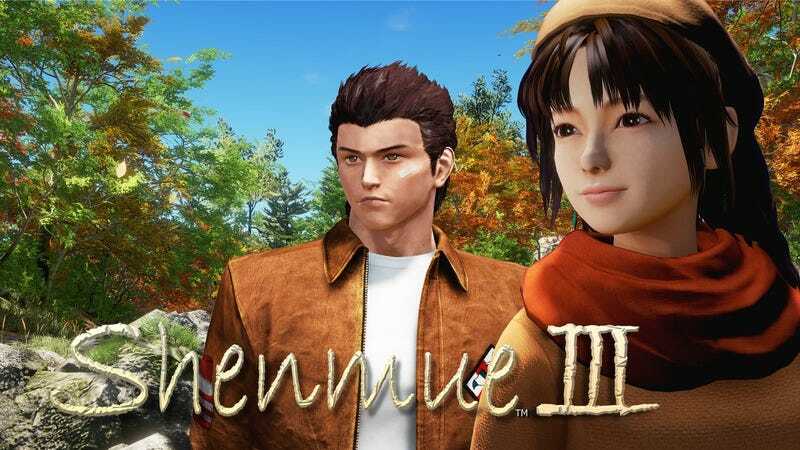 The campaign, which was announced last night at Sony’s E3 press conference, aims to resurrect one of the most-requested sequels to one of video games’ weirdest series: Shenmue is a game where, for instance, you have to work a job as a forklift operator to advance the story. Besides fully funding the project, the $2 million take also shatters some previously held Kickstarter records, making Shenmue III the fastest project ever to reach both the $1 million and $2 million mark. It’s not entirely surprising: Not only is this the followup to a 14-year-old Sega Dreamcast cult classic, but the backer rewards are pretty cool, too. There are Shenmue diehards who will spend $500 on a set of toy capsules, not to mention a $10,000 replica of the hero’s leather jacket. As of publication, the Kickstarter is sitting at $2.6 million, which leaves it with 31 days to rack up more cash and come up with stretch goals more exciting than “foreign subtitles.” Maybe something like “forklift combat” or, even better, “less casual racism”?